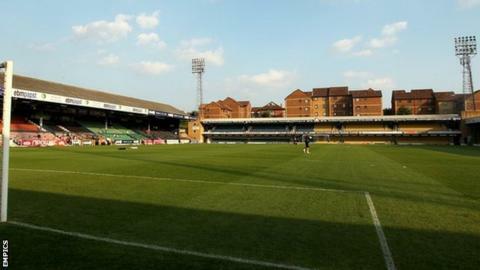 Southend United are facing their fifth winding-up petition in four years. The Essex side are due in the High Court on Monday, 18 March over unpaid taxes to Revenue & Customs. Chairman Ron Martin told BBC Essex the tax bill will be "dealt with in the normal order of business" and that it should be of no concern to the club. The League Two outfit last fought a winding-up petition from HMRC almost exactly two years ago and staved off two other petitions in 2010. The first was, once again, over an unpaid tax bill, while the other was from Charterhouse Commercial Finance Plc who were owed £140,000 - which the club paid. And the Shrimpers also avoided going into administration in November 2009 when they paid off £690,000 of arrears to HMRC.